There have been some powerful reactions to Joel Edgerton’s Boy Erased when it’s screened at festivals, with some saying it misses the mark while others are giving it Oscar buzz. However, with it currently having an 84% Fresh rating on RottenTomatoes, it’s certainly had a lot more love than hate. Joel Edgerton wrote and directs the film, as well as playing one of the leader to the ‘therapy’ programme. It’s based on Garrard Conley’s acclaimed memoit, Boy Erased: A Memoir of Identity, Faith and Family. It also stars Cherry Jones, Michael “Flea” Balzary, Xavier Dolan, Troye Sivan, and Joe Alwyn. Last week we had the trailer for the first of two major movies about so-called ‘gay conversion therapy’, the largely discredited idea that you can coerce people into changing their sexuality. The first movie was The Miseducation Of Cameron Poster, starring Chloe Grace Moretz, and now we get our first look at the second, Boy Erased. An impressive cast has come together for Boy Erased, based on Garrard Conley’s powerful memoir about being forced into gay conversion therapy. Alongside writer/director Joel Edgerton, the film also stars Lucas Hedges, Nicole Kidman, Russell Crowe, Cherry Jones, Michael “Flea” Balzary, Xavier Dolan, Troye Sivan, and Joe Alwyn. The first images from the upcoming movie have now been released, which you can take a look at below. Writer/director/actor Joel Edgerton is pulling together an impressive cast for his gay-themed film, Boy Erased. He already had Nicole Kidman, Russell Crowe and Manchester By The Sea Oscar-nominee Lucas Hedges sttached, and now he’s added the LGBT trio of filmmaker/actor Xavier Dolan, Youtube personality/singer Troye Sivan, and Tony & Emmy winner Cherry Jones. The film will be based on the book, Boy Erased: A Memoir of Identity, Faith, and Family by Garrard Conley, which telld the story of Jared (Hedges), the son of a Baptist pastor in a small American town, who is outed to his parents (Kidman and Crowe) at age 19. Jared is faced with an ultimatum: attend a gay conversion therapy program – or be permanently exiled and shunned by his family, friends, and faith. Boy Erased is ‘the true story of one young man’s struggle to find himself while being forced to question every aspect of his identity’. Shooting on the movie starts this autumn, with plans for an Oscar-bait release towards the end of 2018. This is Xavier Dolan’s fourth film as a director, and he’s still only 25. It’s difficult to know whether to be impressed or whether to dislike him on principle. Indeed that’s true of much about Dolan – he has a supreme confidence that is simultaneously exciting and a little exasperating, his grasp of plot and theme is both engrossing and frustratingly underdeveloped, and he manages to imbue his films with a hipster vibe that is too pleased with itself and yet gives his films an unexpected vibrancy. 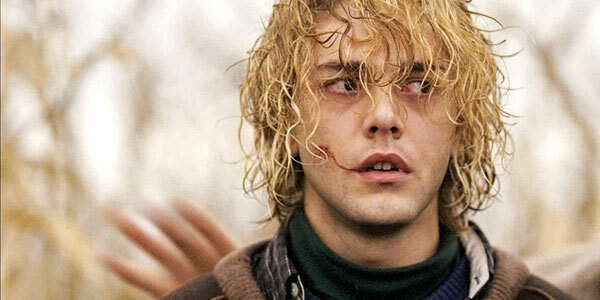 Xavier Dolan is pretty sickening. He’s good looking, young (just 23), queer and has already directed three feature-length movies, as well as starring in several more. The French-Canadian started out as teenage actor, appearing in the likes of Martyrs. However when he was just 19 he managed to persuade backers to give him the cash to make his feature debut as a director with I Killed My Mother (J’ai tué ma mère), which he also wrote. The film went on to win three awards during the Director’s Fortnight program at the Cannes Film Festival and brought him much acclaim. Dolan followed that with Heartbeats (Les Amours Imaginaires), about two friends – a man and a woman – who become increasingly infatuated with a mysterious young man. His third movie, Laurence Anyways, arrives in UK cinemas on Friday (November 30th), which stay with LGBT themes, as it’s about the relationship between a male-to-female transsexual and her lover. While Dolan doesn’t star in that one, we still thought it was a good excuse to find some cute pics of him to crush on. 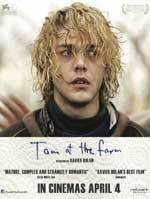 Xavier is already busy putting together his next movie, Tom à la ferme, which follows a man whose lover dies, and he must then meet the dead boyfriend’s family, who weren’t aware their deceased relative was gay. 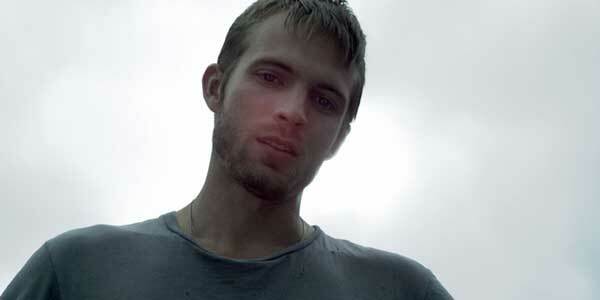 Read our reviews of the other Boys On Film short film collections here. With Boys On Film: Cruel Britannia out on Monday, we’ve been busy working our way through all eight of Peccadillo Picture’s great compilations of gay short films. You’d think we’d have had enough of them by now, but the series keeps coming up trumps, and this seventh outing, Bad Romance, is no exception (we’ll bring you our thoughts on Cruel Britannia tomorrow). With a loose theme of love gone wrong, these 10 films from around the world cover everything from horror to teen romance, and there’s even an Oscar winner thrown in for good measure.